and femininity of a woman"
Versace has newly launched Yellow Diamond, a captivating, floral fragrance. 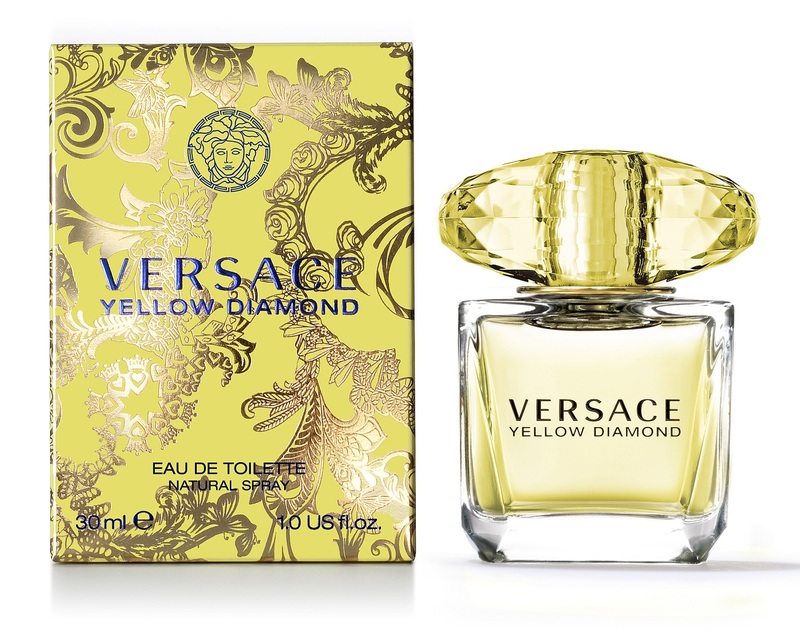 Versace Yellow Diamond is "a burst of juicy freshness and enveloping sensuality". Euroitalia and Donatella Versace collaborated with Firmenich perfumer Alberto Morillas in creating this luxury fragrance, which tells the tale of a crystal that has transformed into a beautiful diamond. Versace Yellow Diamond opens with citron from Diamonte, pear sorbet, neroli and bergamot, with the heart of the fragrance revealing nymphea, freesia, orange blossom and mimosa, and a dry down of amber wood, palo santo and musk. The bottle is timeless and exquisitely modern with an elegant, faceted crystal cap, and cut as a real diamond it creates amazing effects and games of light. The design of the box is inspired by a characteristic baroque Versace decoration, with colors ranging from pale to vivid yellow and the logo in sparkling blue for a stunning contrast. 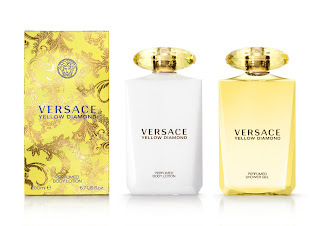 Versace Yellow Diamond is available in three sizes - 30ml EDT (1.0 oz) at $50, 50 ml EDT (1.7 oz) at $67 and 90ml EDT (3.0 oz) at $88. A 200ml (6.7 0z) Perfumed Shower Gel and Body Lotion are also available. Lookout for the launch of the official Versace Yellow Diamond Facebook page on January 24th, 2012. Deluxe samples will be offered to the first 100K people that sign up!